Run by the same family for five generations, Kiambethu Farm boasts a tranquil setting just a short drive from the heart of Nairobi. 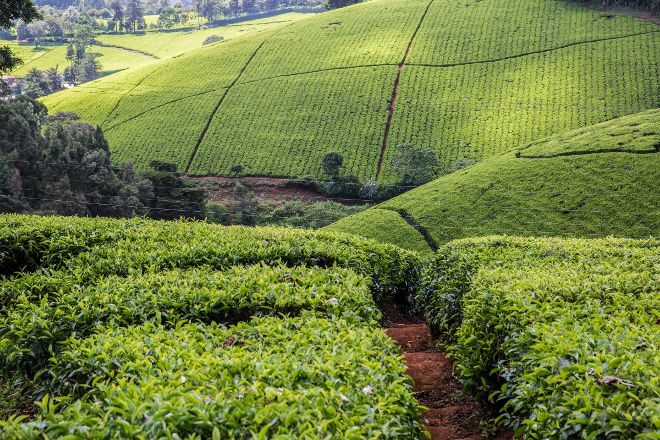 A visit here allows you to learn about the country's tea plantations--an added bonus is a chance to tour the colonial-era farmhouse and nearby forest. Make your reservations in advance through any of Nairobi's official tour operators. For Kiambethu Farm and beyond, use our Limuru trip maker to get the most from your Limuru vacation. It is one of the good places to visit, walk and chill. Very good environment and very nice feelings around it. Many choices are available for selection. Our time were well spent and I have a great time with my accompany and my whole group. Thank you very much and appreciate for the time. Have a great day and night today and tomorrow. Kiambethu is a must must see. Whenever we have guests from Canada, we make sure the "Tea Talk" is part of their Kenya experience. Fiona is a fantastic host. Her knowledge, he hospitality, and her very sweet demeanor make the experience so pleasant. Her staff are very welcoming and dote on guests. The Meal they provide for lunch is a feast. Arrive hungry. You won't regret it. The food is locally sourced and much is grown on the farm. Even the ice-cream and heavy cream from thier cows. The geography is stunning. The rolling tea fields, Fiona's garden, the majestic trees and fauna, it's such a beautiful and peaceful way to spend part of your day. DO NOT MISS THIS EXPERIENCE! Interesting, educating and charming. Sweet old lady (Fiona) explains pretty well but speaks quietly, so be sure to sit and stand really close to her. Nice and tasty lunch. Very detailed presentation about tea business from the plantation of tea trees, harvesting, processing, marketing, auctioning, exporting and more. Wonderful history of the tea farm from the grand-father of the current owner till now. A short trip to discover the neighouring forest. Excellent lunch with wine, beers, ice cream. Perfect service provided by the local personnel and special care and attention from the owner. Thanks for this instructive and wonderful day. Beautiful place with astonishing views. A true gem outside Nairobi. Everything from the tour to the lunch given at the end was great. Every day, we help thousands of travelers plan great vacations. Here are some tips on how to use your Listing Page to attract more travelers to your business - Kiambethu Farm. Promote your permanent link - https://www.inspirock.com/kenya/limuru/kiambethu-farm-a162464173 - on your website, your blog, and social media. When a traveler builds a plan from this page, the itinerary automatically includes Kiambethu Farm. This is a great way for travelers looking for a great vacation in your city or country to also experience Kiambethu Farm. Promoting your link also lets your audience know that you are featured on a rapidly growing travel site. In addition, the more this page is used, the more we will promote Kiambethu Farm to other Inspirock users. For best results, use the customized Trip Planning Widget for Kiambethu Farm on your website. It has all the advantages mentioned above, plus users to your site can conveniently access it directly on your site. Visitors to your site will appreciate you offering them help with planning their vacation. Setting this up takes just a few minutes - Click here for instructions.